For a spring wedding reception with a garden theme or that happens to fall on Earth Day, how lovely would it be to have your tablescape all abloom with flowers! 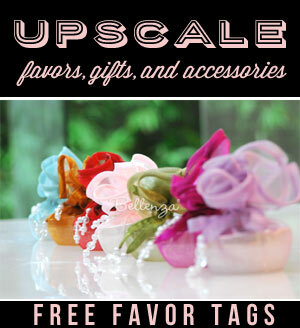 From napkin accents, to place cards, to table names, you can incorporate something floral and eco-friendly in creative and surprisingly easy ways. 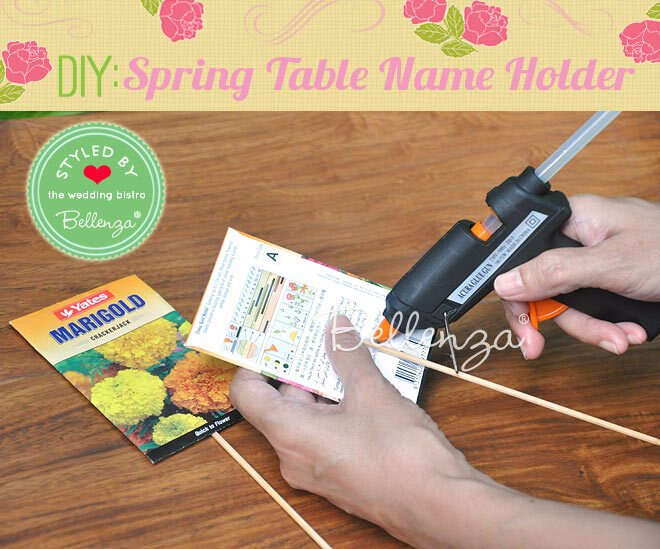 Take this delightful DIY project we have for you: Seed Packet Table Name Holders. You can create several in just minutes, following our 5 simple steps! Step 1: Assemble the needed materials. 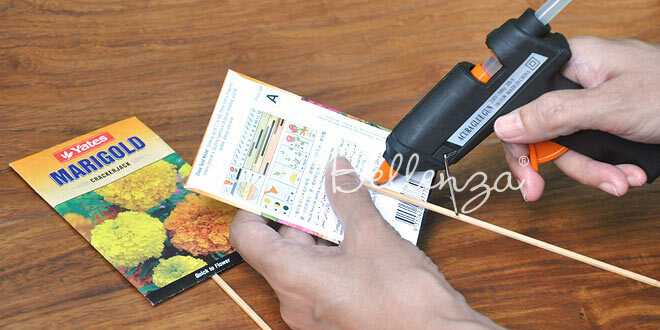 Step 2: Glue about a quarter of the blunt end of a stick or skewer to the reverse side of each seed packet, with the pointed end pointing downward. Step 3: Fill each pot about halfway with pebbles, a block of florist’s foam, or moss to provide some weight and to serve as a base for the seed packets on sticks. 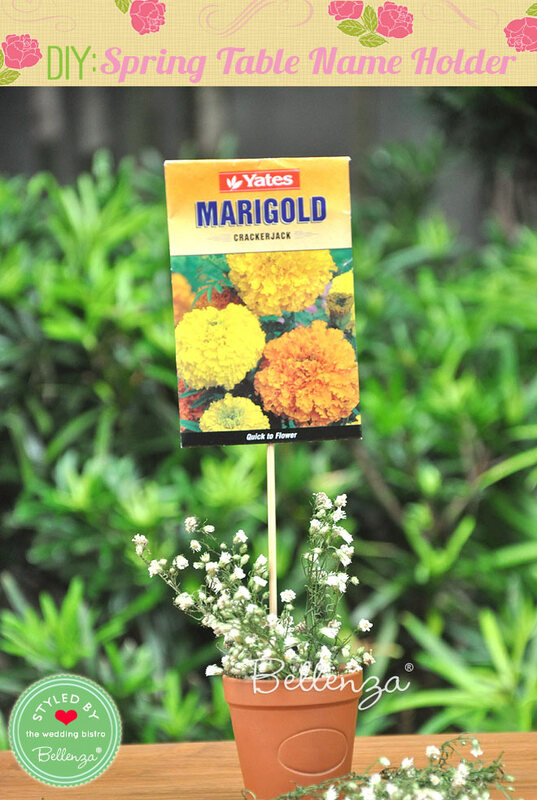 Note: You can also find seeds for flowers such as tulips, dahlias, sunflowers, and even wildflowers. Herbs are also great like oregano, basil, parsley, rosemary, thyme, and chives. 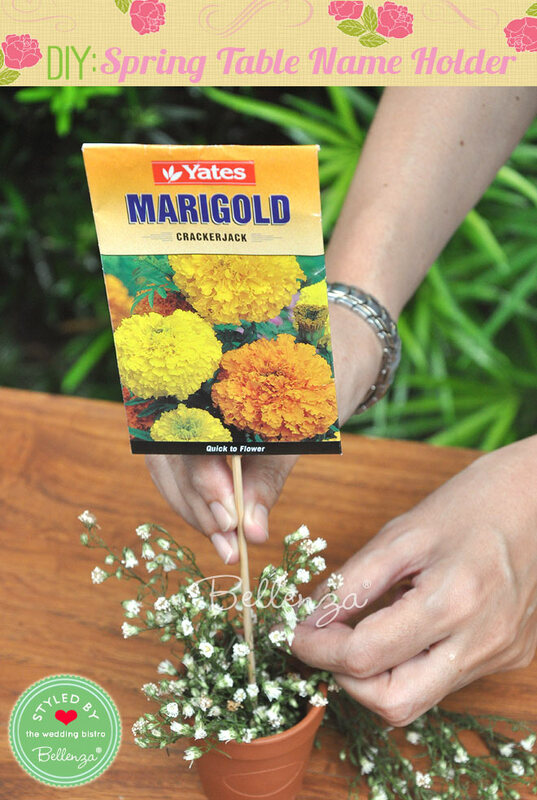 Step 5: While holding the stick upright and steady, fill the surrounding space inside each pot with the asters, baby’s breath, or similar flowers. 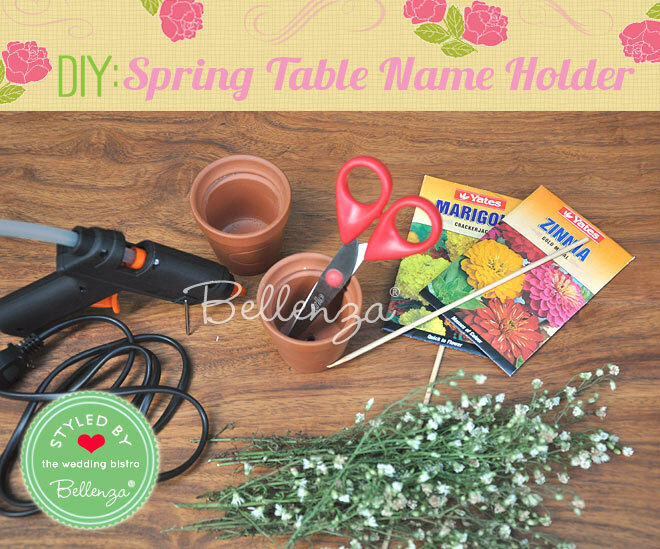 Finally, position the finished Seed Packet Table Names so that each table is identified by the name of a flower. Such a pretty way to complete your spring reception table styling! A wonderful idea for a couple with a green thumb! 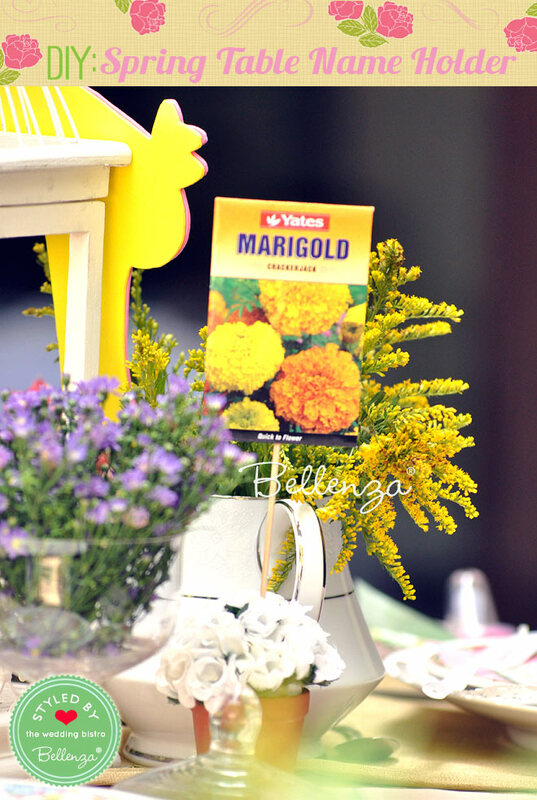 The same flower seed packets can also be used as place cards. 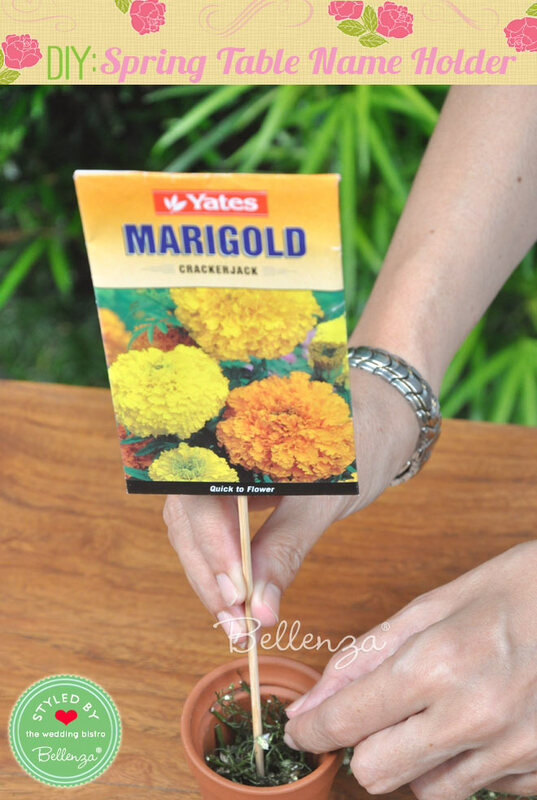 Simply print the guests’ names on card stock or sticker paper, cut them out, and glue them onto the packets covering the flower names. 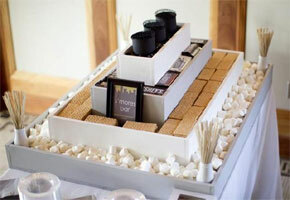 Then, tuck a packet-place card alongside each plate. 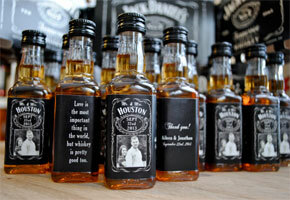 Previous Tropical Beach Wedding Essentials for Your Bridal Party, Ceremony and Guests!